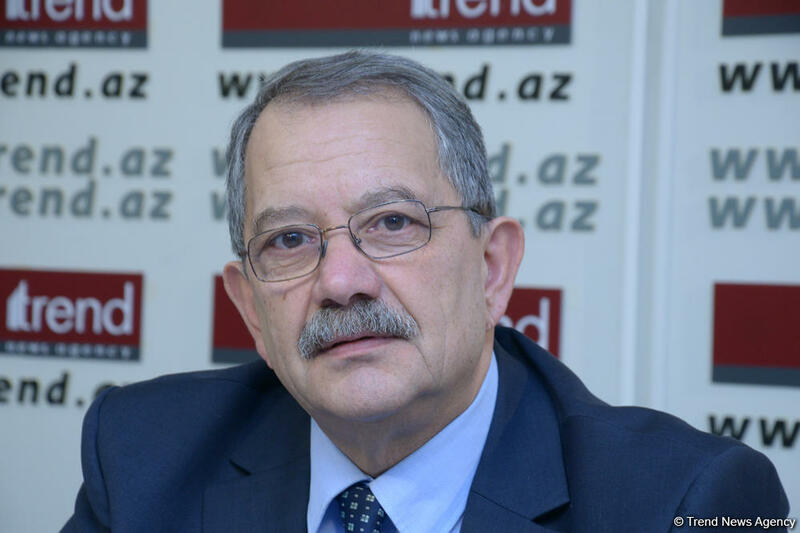 The Convention on the Legal Status of the Caspian Sea, signed recently at the 5th Summit of the Heads of the Caspian States in Kazakhstan’s Aktau, will create a more favorable background for settlement of the Armenia-Azerbaijan Nagorno-Karabakh conflict, Elkhan Alasgarov, PhD, well-known Azerbaijani political analyst, head of the Expert Council of the Baku Network, told Trend. “We remember about Armenia’s terrorist attack on a civil ferry that carried passengers from Turkmenistan to Azerbaijan and other security threats in the Caspian region,” Alasgarov said. “And only thanks to the correct diplomatic work carried out by Azerbaijan’s leadership, many projects have been realized." “The issue of security has been solved to a certain extent after the adoption of the Declaration as all the countries that signed the document bear responsibility for preserving the regional stability,” he added. “Geopolitically, Azerbaijan’s positions in the Caspian Sea have intensified, which means that the settlement of the Karabakh problem can be considered more thoroughly,” he said. “The adoption of the Convention opens wide opportunities for implementation of big economic and energy projects of strategic importance,” Alasgarov said. "This means that there are opportunities to lay gas pipelines along the bottom of the Caspian Sea,” he said. “I think it is logical to ask why Russia and Iran agreed to laying a gas pipeline from Turkmenistan to Europe through Azerbaijan, while it could compete with those countries? “Perhaps, there are some concerns among the exporting countries due to an increase of gas tariffs in Europe, while the availability of various routes of supplies will allow to avoid that," the expert added. Talks on a Trans-Caspian gas pipeline have been carried out since 2011 by the interested parties, namely, the EU, Azerbaijan and Turkmenistan. The Trans-Caspian project can be implemented within the Southern Gas Corridor project being promoted by the EU. In May 2015, the Ashgabat Declaration on Energy was signed by the ministers of energy of Azerbaijan, Turkey, Turkmenistan and Vice President of the European Commission for the Energy Union Maros Sefcovic. Later, Georgia joined the negotiation process. Turkmenistan voiced readiness to supply up to 40 billion cubic meters of gas to Europe, 10 billion cubic meters of which could be provided in the future by Petronas operating in the Turkmen sector of the Caspian Sea. The remaining volume can be provided through the East-West gas pipeline, which begins from Turkmenistan’s big Galkynysh field and finishes off the coast of the Caspian Sea. In its turn, Azerbaijan expressed its readiness to provide its territory, transit opportunities and infrastructure for the implementation of the project.